22 species of beneficial bacteria, fungi, and probiotics specifically designed for disturbed soils. 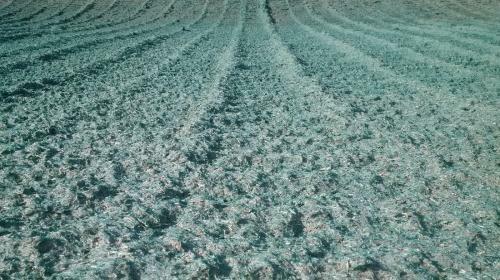 An agronomically designed soil conditioner designed to build humus and provide a stable long-term nutrient source for both plants and the soil biology. Includes the highest quality mineral fertiliser that has been developed for re-vegetation and includes trace elements. Includes a new and unique slow release nitrogen source that is only available to the microbiology. It will not dissolve in the hydromulch tank like other slow release sources. This minimises the effects of nitrogen draw down. 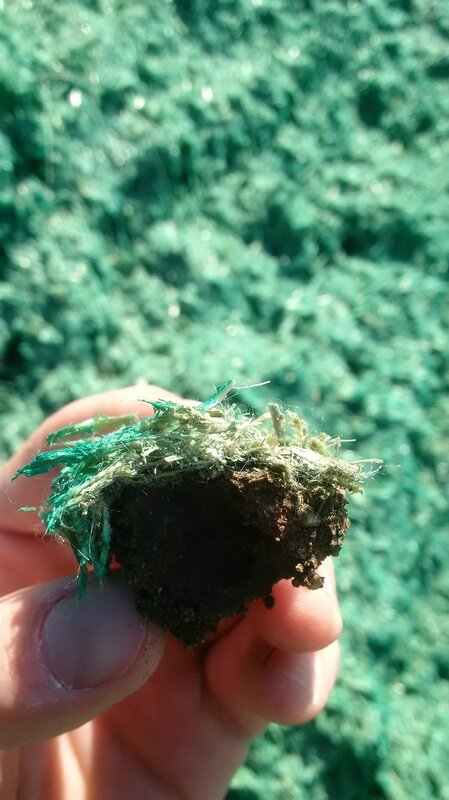 The mulch now includes over three different fibres, all designed to stop erosion and provide a long term cover. All fibres are thermally processed, ensuring they absorb water and allow water to permeate through to the substrate below. This mulch has been proven to reduce temperature and evaporation from the soil below by up to a massive 30%. The binder has been tested to perform in the most extreme environments. It is proven not to re-wet and designed to improve water holding, and hold the mulch matrix in place for extended time periods. Designed to eliminate the need for expensive watering programmes and can wait for nature to provide the water. With the correct climatical conditions, it will germinate the applied seeds. Because of the added degradable interlocking fibres, you can be assured EnviroMatrix will hold on to the steepest of slopes. The Troforte System Brings Science to the Programme With Advanced Soil Science & Microbiology. It all starts with a focus on the outcome, by getting the project design correct. The starting point is with what we are trying to achieve. The programme brings together professionals, seed specialists, soil scientists, laboratories, universities and other re-vegetation professionals who are widely respected with their fields. All collaborators have agreed that the Troforte system has successfully been designed to produce the desired outcome. Geographic location and climatic conditions are carefully considered, plant providence and species are critical to the outcome. By using the most advanced soil science and latest technics, we can rebuild the soil to its original condition faster and encourage the establishment of the native grass species. During the application process, we monitor every step, to ensure soil preparation and amelioration are performed correctly. We monitor our certified installers to ensure they apply the program to specification. By doing this we can quickly identify potential problems. We then monitor establishment, ensuring everything is going to plan. First crossing Toowoomba Range – no topsoil. 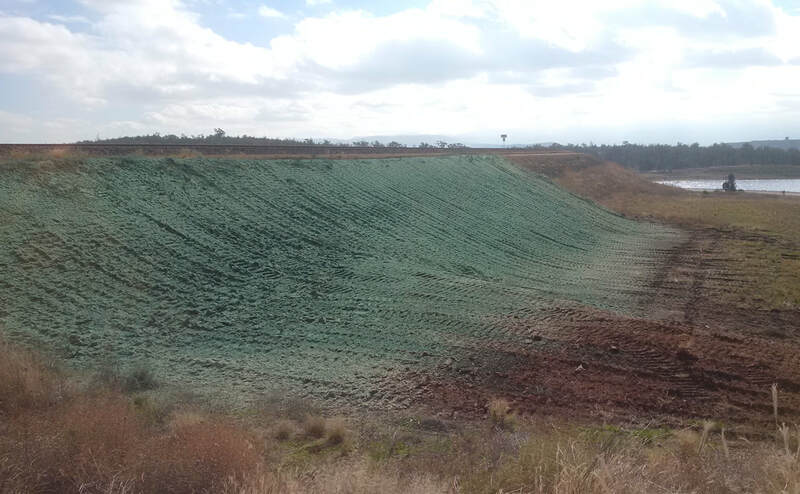 Eaton Range – no topsoil, no watering. Moranbah Mine Site – low carbon, highly dispersive soil with high sodium. Steep slope Tumbulgun Northern NSW – no topsoil compacted clay batter. Most recently we sprayed a steep slope on a mine site in NSW the attached photo’s show EnviroMatrix applied at 10 ton to the hectare rate, 7 days after application. The soil is problematic with low carbon high sodicity and prone to rill erosion.